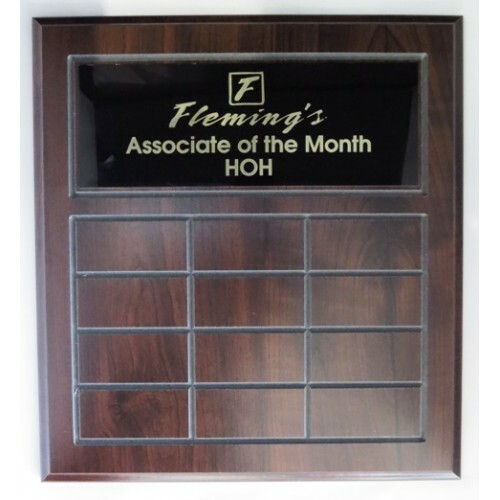 Plaque #F109-Perpetual Associate of the Month- HOH Size: 12 x 12"
Price $69.95 includes plaque and top plate engraved with YOUR COMPANY LOGO. Place text information for name plates in text area when you order. 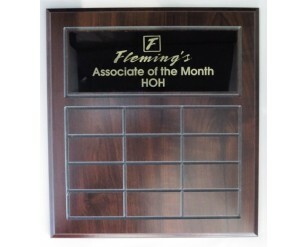 If you would like changes to the plaque indicate in the comments section.